and avoid emerging reputational risks? Every organization fears a crisis, but few do anything to actively monitor and manage the risks that can damage their reputation. Standing Partnership partnered with Edison Research to conduct a study of more than 1,000 senior executives across several industries to explore the impact and management of reputational risks. 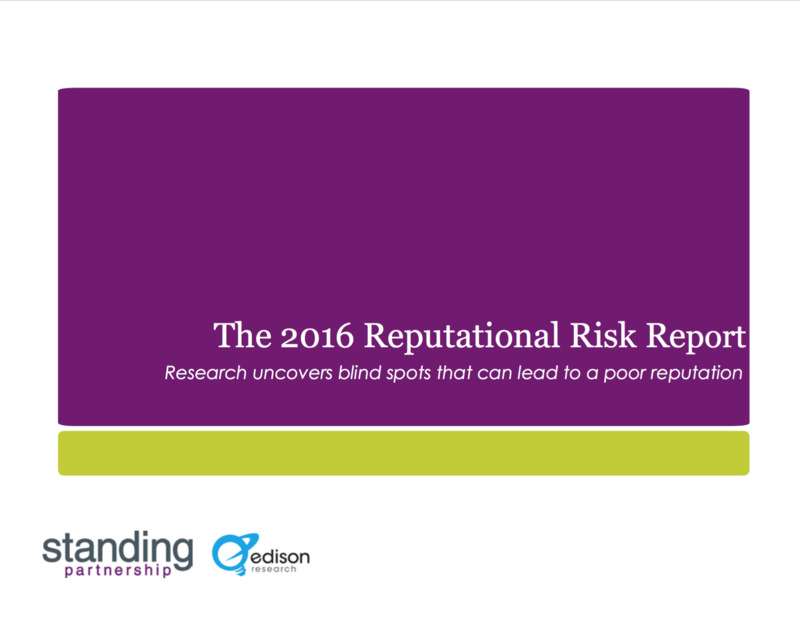 Our 2016 Reputational Risk Report uncovers findings that may surprise you. How much can reputation risk cost organizations? What are the most frequent causes of reputational risk? How effective are organizations in monitoring for reputational risk? Do organizations invest enough to prevent reputational risk? Complete the form on the right to access your copy of the 2016 Reputational Risk Report today.